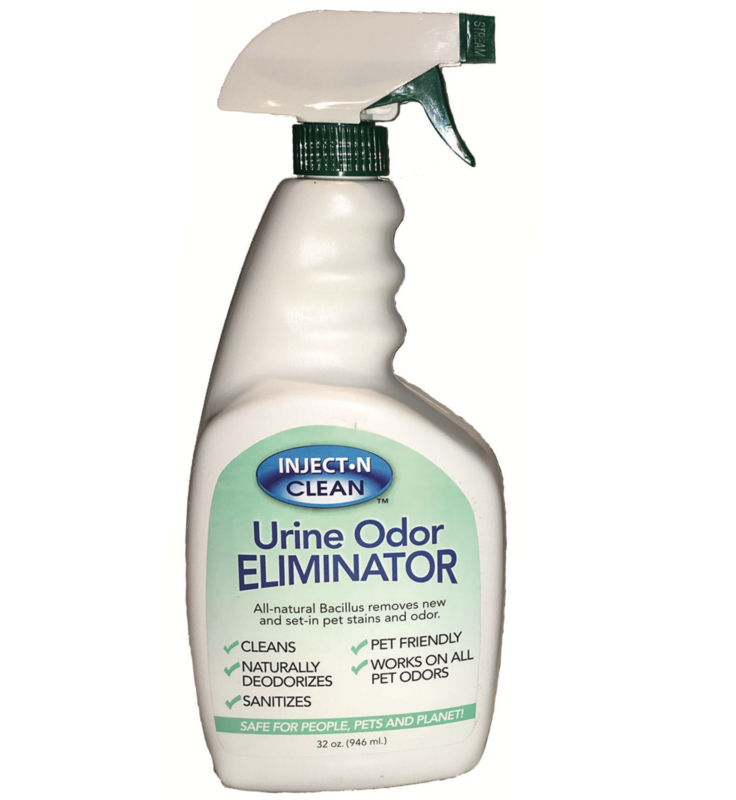 Eliminate pet odors from your carpet completely with Inject-N Clean Urine Odor Eliminator Spray. It can be used on its own as a topical cleaner, but is most effective when used in combination with the Inject-N Clean Tool & Injector Bottle Kit. Fill the injector bottle with this powerful spray and mist pet odors away!